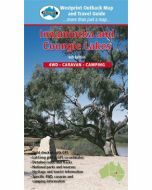 The Innamincka & Coongie Lakes area contains excellent camping and fishing locations along the lakes and waterholes of the Cooper Creek and is accessible only by 4WD. A permit is not required to travel to Innamincka via the Strzelecki Track, but a permit is required to travel from Innamincka to Coongie Lakes, shown on this map. The required permit is the Desert Parks Pass, valid for one year covering all parks in the desert region. 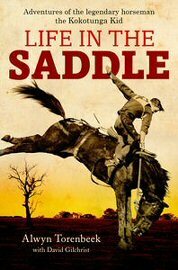 For travellers only requiring access to Coongie Lakes, a short stay pass is available from the Ranger based in Innamincka. The map also features a good deal of information about Burke & Wills and their camp at the Dig Tree.